Defending champion Al Nift Baghdad (IBL) landed experienced 34-year old international center Ali Hameed (208-93kg-84). He has played for the last three years at Al Mina. 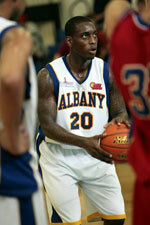 It was a very successful season in his career as he was selected to Asia-Basket.com All-Iraqi League 2nd Team. 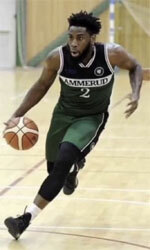 Among other achievements Hameed's team won Iraqi League Regular Season in 2014 and 2016. He also represented Iraq at the FIBA Asia Cup in Lebanon last year. His stats at that event were 5 games: 7.2ppg, 7.2rpg, Blocks-1 (2.0bpg), FGP: 48.4%, FT: 54.5%. Hameed has spent his entire career in Iraq playing for two other teams: Al Hilla and Duhok.